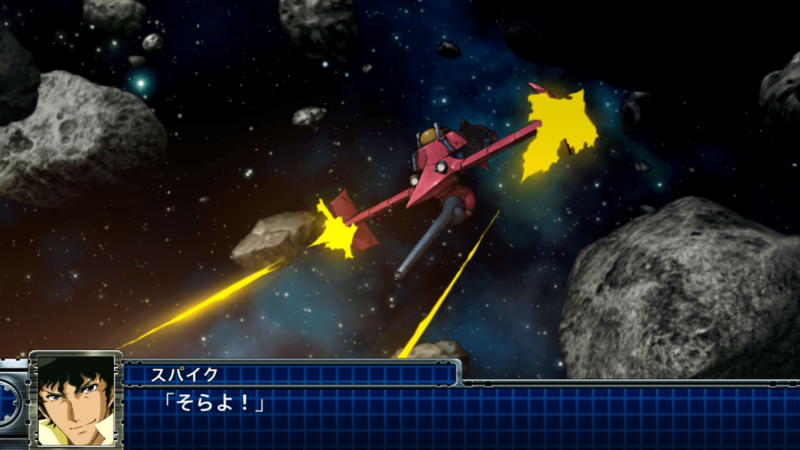 During the February stream of the Super Robot Wars franchise, new details were revealed on Super Robot Wars T, with live gameplay of the PlayStation 4 version of the game. The gameplay sequence starts on the intermission screen after Stage 3. 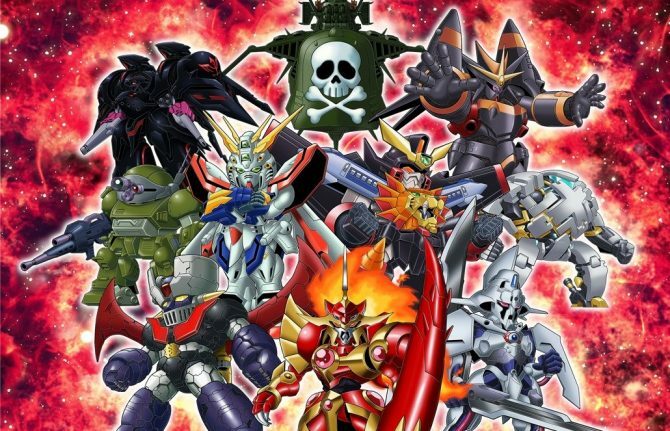 By then, players will have God Gundam, Noble Gundam, Great Mazinger, Dann of Thursday, and OG mecha Tyranado. The Gespenst will already be available as well for those who pre-ordered the game. Producer Terada explained some of the systems in the game. 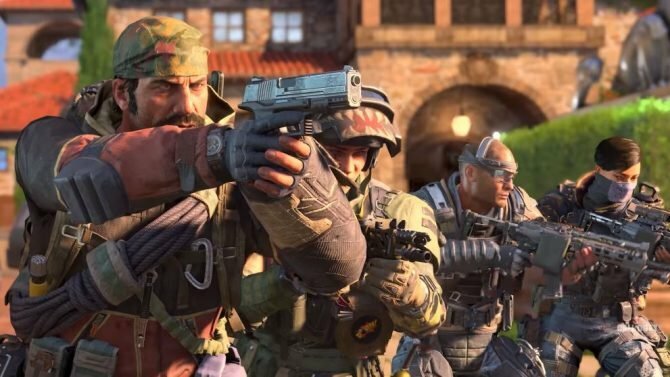 As already shown in the second PV, there’s no skill tree anymore, and players can buy any skill directly with Tac Points and make a pilot learn them. 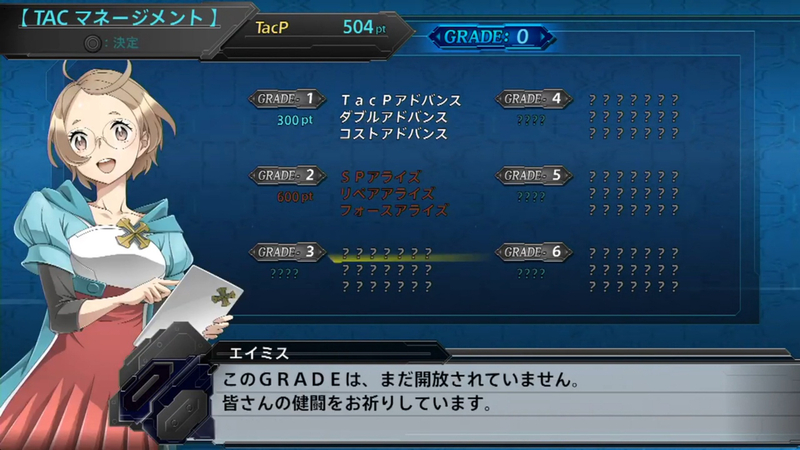 We also saw the Tac Management menu, which lets you purchase one out of different bonuses at each “Grade”, by exchanging Tac Points. Grade 1, for example, lets you increase the number of slots in a specific Sub Order. Each Grade has a different Original character taking care of it. Grade 1 has Rami, Grade 2 has Meryl, and Grade 3 has a new OG character named Eimis. Just like Meryl during battles, Eimis rides the Cariacs, the airship carrying Tyranado’s weapons. The airship itself isn’t playable though, at least as far as we know for now. 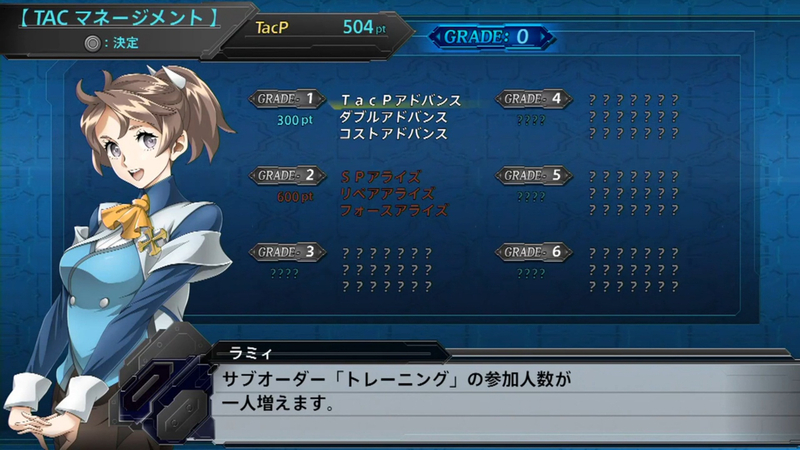 Next, the Sub Order menu was shown. 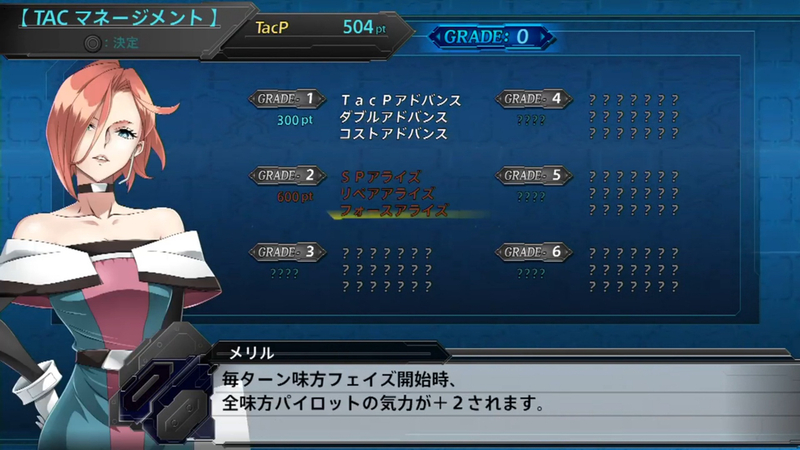 As already explained, in SRW T, even pilots who were deployed in the previous map can be given Sub Orders to. Like in past games, these lets you grind either experience, money, kill count or Tac Points. 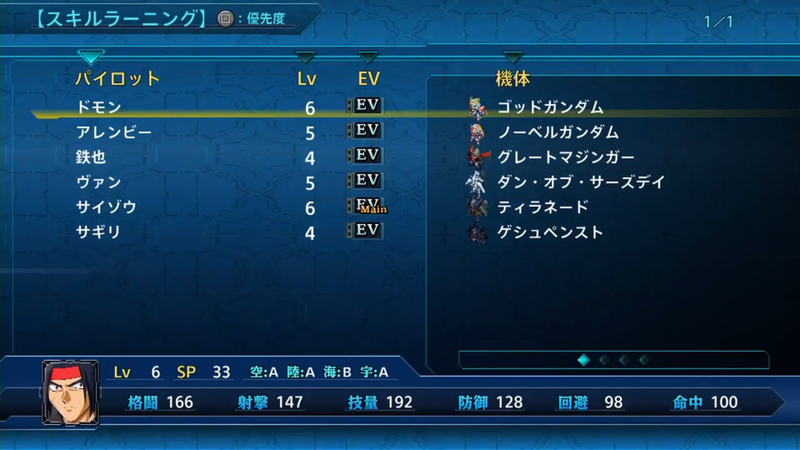 The new Special Order function was explained as well. Basically, every stage there’s some special condition to accomplish, and if you do, you’ll be able to use Special Order the following intermission. Special Order grants +5 to the kill count of the pilot you assigned it to. 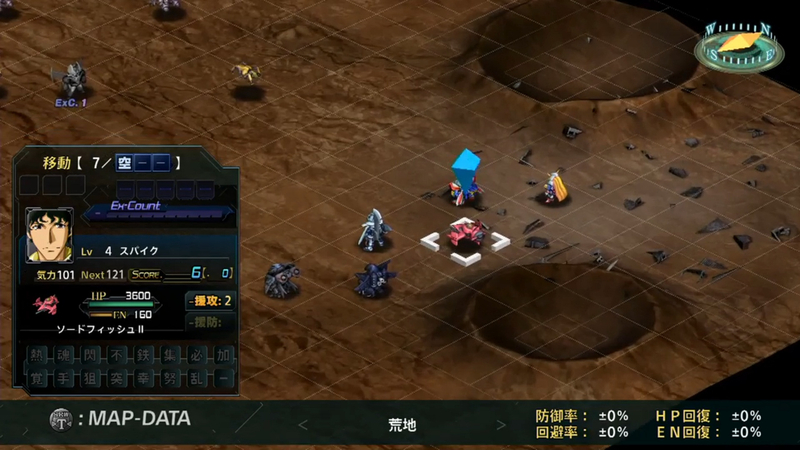 Next, they showed some gameplay of Stage 4, which takes place on Mars. According to Terada, Domon is more rational and mature in SRW T and is currently on Mars following a request he accepted. Most units don’t have all their attacks yet so early in the game. Great Mazinger gets more as the game goes on. Same with Spike in the Swordfish II, who joins in Stage 4. It only has two attacks then but it’ll get more and more. Swordfish II has S rank in Air and Space, and Spike also has a “Cowboy” skill which is pretty cool. They didn’t explain what it does, but it’s probably a stat boost depending on his Morale. Other tidbits include how Noble Gundam can use Repair now. The Gespenst as well. Another new OG character was shown too, called Amasaki, and he’s Saizo and Sagiri’s superior. “Amasaki” is also Rami’s family name, so they’re relatives. Amasaki is on the Cariacs airship with Meryl and Eimis. Another important note is how they didn’t play each character/unit’s BGM during the gameplay, except for Saizo’s and Sagiri’s. You can find the stream below. 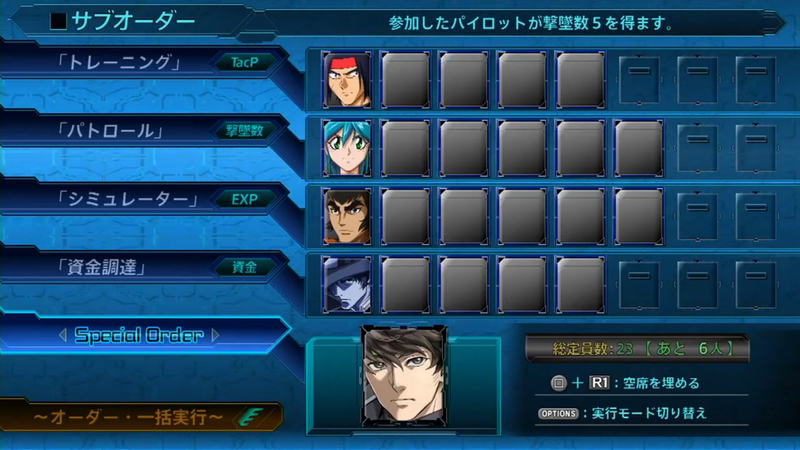 The Super Robot Wars T gameplay sequence is from 7:23 to 26:50. 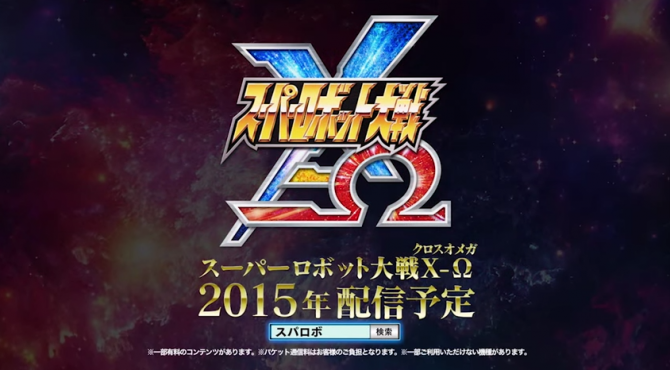 Lastly, mobile game Super Robot Wars Cross-Omega also added Medarot to its roster as a limited-time addition. A trailer for it was shown which you can find below. It’s the Medarot games specifically, instead of the anime, hence why the trailer had a Gameboy feel to it. Cross Omega Producer Oochi mentioned how they’re doing it because it’s the Medarot franchise’s 20th anniversary, and because they already did a collaboration event with Megaman, which is one of the inspirations for Medarot. Two new permanent additions for Cross Omega were announced as well: Mobile Suit Gundam Seed Astray and Evangelion Anima. 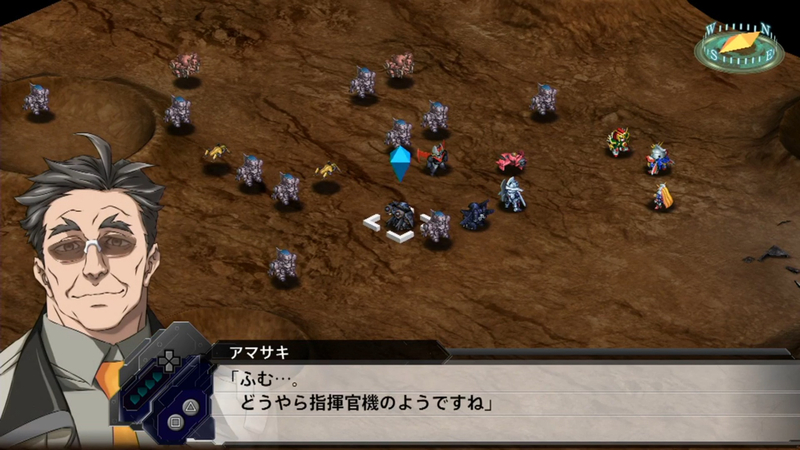 It’s the first time Evangelion Anima appears in SRW. 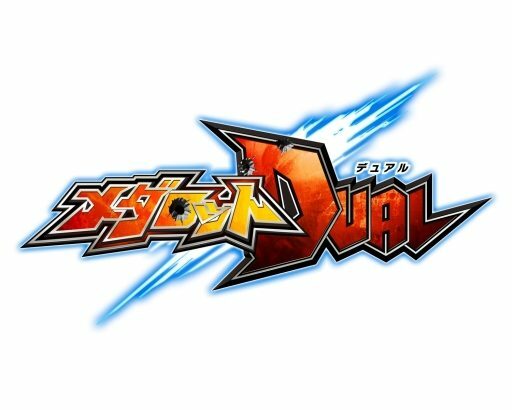 New information and gameplay for upcoming mobile game Super Robot Wars DD were shown on stream as well, and as usual, they took a photo with everyone present on stream once it ended. The gameplay starts at the 7:21 mark. Imagineer announced they will be publishing a new Medabots game in Japan for mobile platforms. An OST release for Medabots Classics was also announced.